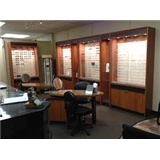 Vision Associates of Sheepshead Bay Inc (Brooklyn) - Book Appointment Online! I have had the pleasure of caring for my patients in the sheepshead bay area for over 20 years. Our goal is to provide professional eye and vision care for each and every patient. Whether its treating glaucoma, removing a foreign body, relieving dry eyes or providing the best eyeglasses and contact lenses available, we strive for our patients to leave us feeling and seeing better. In short, we try to make difference.